A superb location, surrounded by rainforest and within sight of the ocean, offering a wide range of naturalist and adventure tours. 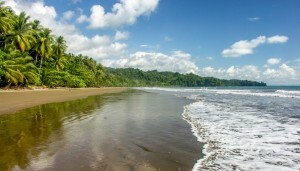 In Playa Ballena in Marino Balleno National Park, 7ms south of Uvita in the Osa region. Cristal Ballena is open year round. 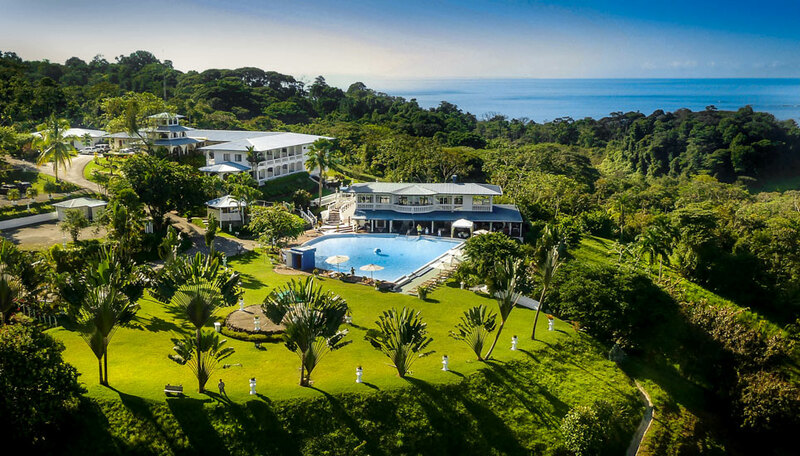 Set on a verdant hilltop within sight of the azure ocean waters, this hotel provides refined comfort and impressive facilities. You may need to pinch yourself to check you’re not dreaming! 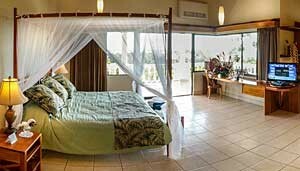 Suites are comfy and cosy with all mod cons and private balconies, while the 2 lodges are surrounded by tropical gardens. But that’s not all. From here you have rainforests and beaches to explore, watersports and canopy tours to enjoy and a wealth of wildlife to encounter. You’ll never be bored at Cristal Ballena! Each day starts with a buffet breakfast which you can savour while watching toucans and hummingbirds in the trees as you plan how to spend your day. 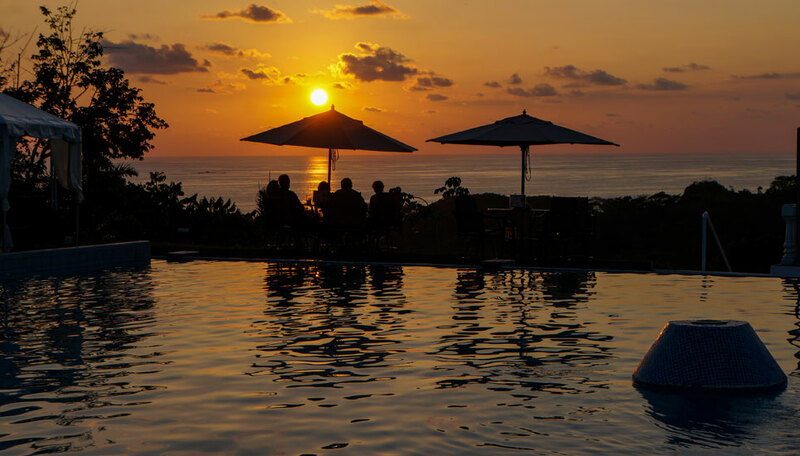 Later, after your adventures, you can relax by the pool and sip a cocktail as you watch the sun sink below the horizon. Why go to Cristal Ballena? At Cristal Ballena you can try a new adventure each day. 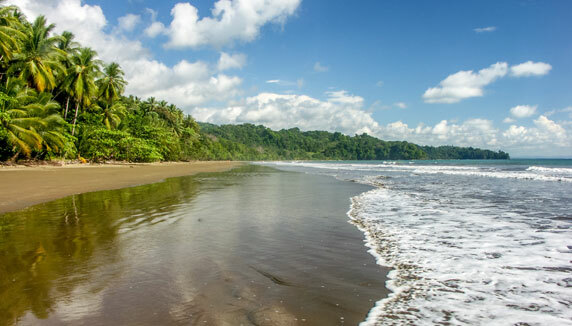 Whale watching in Ballena Bay, hiking in Corcovado, observing some of the 400 species of birds in the area, diving among the coral reefs of Caño Island, spending time with endearing squirrel monkeys at Manuel Antonio National Park, and enjoying time exploring the beautiful surroundings, all are possible. For those interested in culture and history, a visit to Boruca to learn about ancient indigenous cultures, and an excursion to the nearby Finca 6 site to see the mysterious stone spheres made by pre-Columbian peoples, are a must. After an action-packed day you’ll appreciate being pampered at the Cristal Spa followed by a perfect candle-lit dinner at ‘Pura Vida!’ restaurant. 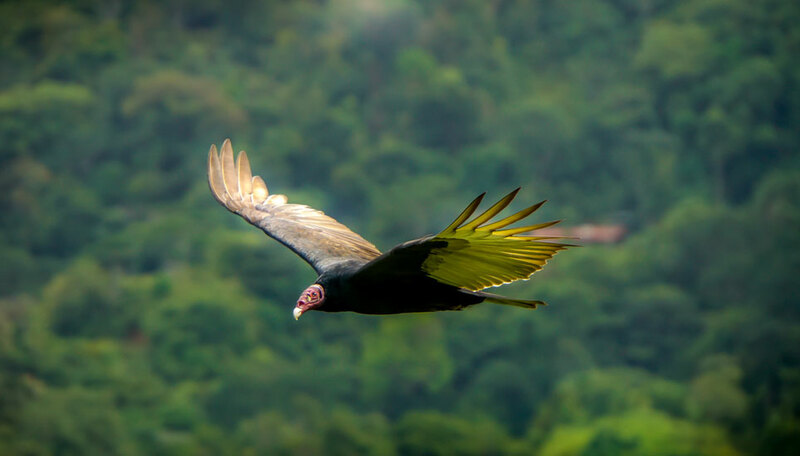 This is a prime location for birdwatching and is a member of the Costa Rica Birding Hotspots group. Toucans, scarlet macaws, and colourful hummingbirds all feature on the hotel’s bird list, which includes more than 200 species. On a guided nature tour following the rainforest trails you’re also likely to see howler and white-face monkeys, some colourful poison dart green and black frogs, baby caimans, coatis, agoutis and unmistakable sloths. For 8 months each year the shallow, warm waters are visited by humpback whales for breeding and calving. Among other marine creatures you can find here are turtles and spotted dolphins. Junior suites occupy 50sqm, and have either a king size bed or 2 queen 4-poster canopy beds. 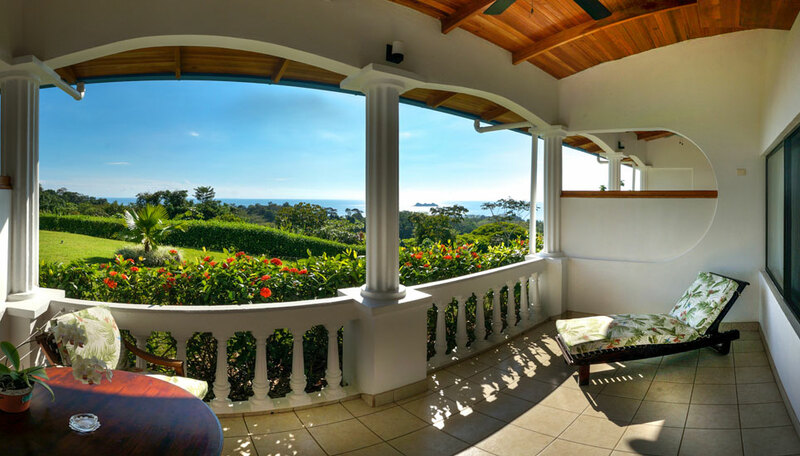 All balconies overlook the Pacific Ocean. Each has a sitting area, desk and ceiling fans. Family suites cover 75sqm. They have 1 king bed and 2 twin beds. Facilities are the same as the junior suites. Master suites occupy 90sqm, and are corner rooms with ocean view balconies. They have the same facilities as the junior and family suites. Adventure lodges are individual wood cabins set in the hotel’s gardens. Each has 1 king bed and 1 single bed. They are not air conditioned but have ceiling fans. Both are en-suite and have the same facilities as the suites. Children of all ages are welcome. Those under 4 years stay free of charge. There are cribs for hotel rooms and high chairs for babies in the restaurant. The restaurant offers a children’s menu. Free Wi-Fi in all rooms and throughout the hotel. All rooms have telephones. There is a mobile signal for the Kolbi-ICE network.